Godly character makes the joy of learning credible and indeed the most valuable gift a parent can give their child. At the Plettenberg Bay Christian School, we encourage character and individualized learning as a Divine Mandate. Diagnostic testing assures that every student finds that place which maximizes learning. 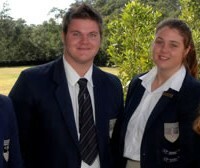 Plettenberg Bay Christian School provides students from Grade R to Grade 12 with a quality education. We believe now more than ever that the individualized learning methodology of ACE (which has stood the test of time) is indeed an effective tool in equipping students to fulfill their calling. Our students have once again received great reports from both Universitys and the professional domain and we are delighted at their success.